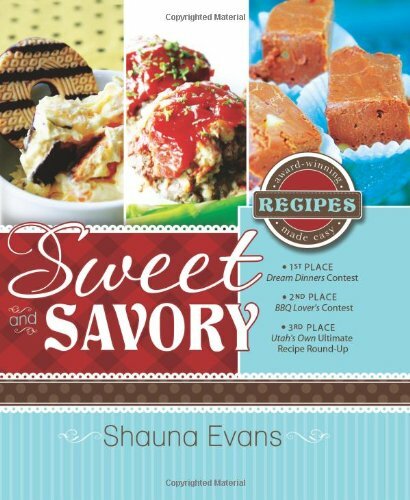 A Well-Seasoned Life: Sizzlin' Summer Reads: "Sweet and Savory"
Sweet and Savory by Shauna Evans is a compilation of recipes from members of Evans' family including both maternal and paternal grandmothers and her mother. Evans comes from a long line of award winners as these ladies have won many recipe contests over the years. In this cookbook, she shares with readers the simple, yet delicious recipes that have become legendary. 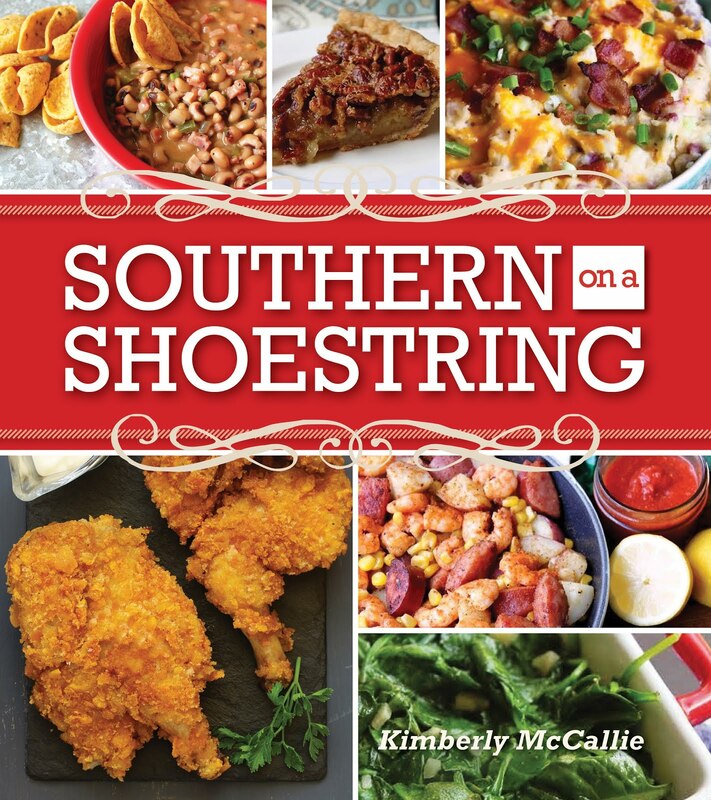 This cookbook covers every category of recipes beginning with appetizers and beverages and continuing through soups, salads, side dishes, main dishes, breads, desserts, and ending with breakfast and brunch recipes. The recipes include common ingredients and easy preparation which makes this cookbook appropriate for beginning cooks. While you will find classic recipes that may be familiar to you such as artichoke dip, creamed corn, fettuccine alfredo, and apple crisp, you will also find many recipes that may be new to you and will help you to wow your family with something just a little bit different. How does Fruit and Cookie Camp Salad sound? I think it sounds like the kind of salad that would please a crowd. With graduation and wedding seasons upon us, this cookbook would make the perfect gift for anyone who is about to set up a kitchen for the first time. They will find plenty of familiar recipes that will remind them of home and plenty of recipes that will become new favorites. 1. Combine butter and two cups cookie crumbs; press into bottom of 9 x 13 pan. 2. In saucepan, melt marshmallows in 1/2 cup milk. Cool. 3. Whip cream and sweeten with powdered sugar. Add to marshmallow mixture. 4. In separate bowl, combine walnuts and strawberries. 5. 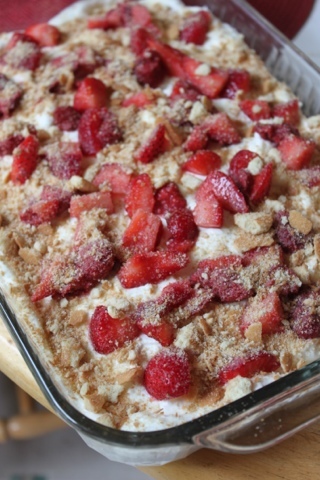 Over crumbs in pan, layer half of marshmallow mixture with half of strawberry mixture. Repeat. 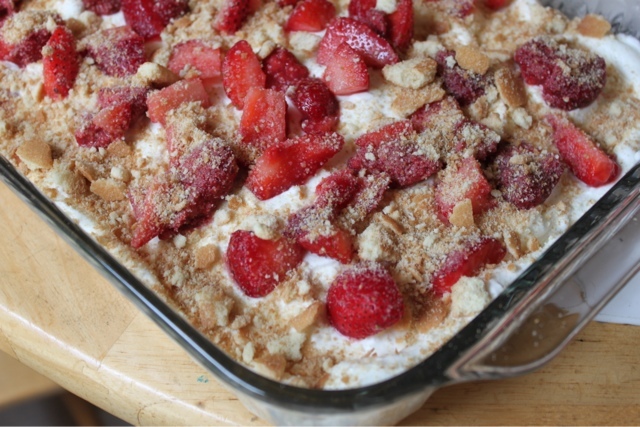 This is the perfect dessert for summer. I loved every component of it from the tartness of the strawberries to the luscious whipped cream filling and crunch of the vanilla wafers. Disclaimer: The publisher provided me a review copy of the cookbook; however, the opinion expressed here is my own.